We are pretty positive people here at lawschooli.com, but I can’t be merry and just tralala through life all the time. Why not? Because I see people doing stuff to prep for the LSAT that is very wrong and I have to fix it. We are also going to get some help from GIFS from the Ring to help illustrate my points and communicate just how horrified I am that you are doing it wrong. If this scares you, then I’m sorry, but the idea of not reaching your potential on the LSAT should scare you more. Now some of this is relatively little stuff, but some of it is pretty big. I’ll say which is which, but generally just avoid doing anything on this list. Get rid of these bad LSAT study habits and you raise the chances for a great score. The LSAT is not a needy girlfriend/boyfriend. You can totally forget about it for a day and things are going to be totally cool when you check back in. Better even. That’s because for one reason or another the brain learns this stuff best if you aren’t going full throttle all the time. I think it’s because prepping for the LSAT is, frankly, a little bit boring. If you are always on– just in the LSAT zone all the time– you are going to get fed up and disengage from the material. You might be studying still, but your attention just isn’t there. You can’t improve if you aren’t paying attention. One day a week should be absolutely inviolate, a total break from LSAT study. Avoid even thinking about the LSAT on said day. You need to be well rested to do well on the LSAT. A lot of young professionals try to study for the LSAT with the time they would usually use to sleep. Being well-rested is no joke, however, and may well be totally necessary to improve. I’ve seen really, really smart people have trouble making significant improvements because they were studying tired all the time. You have to figure out a way to schedule your LSAT study so it’s doesn’t turn you into a half-crazed insomniac. Using bad books is another way to burn money. Josh and I both fell victim to this when we started studying. That was in 2008. Luckily, nowadays there is a lot more easy to find information on the net (including this site) that will help you steer clear of low quality products. Find our full recommendations HERE. One last thing: use tutors judiciously. Unless you are totally rich, it’s probably best to wait until you have learned all the basic techniques on your own before you bring in a tutor. This isn’t Downton Abbey. Hiring someone to be at your beck and call for every little thing is going to get really expensive. To avoid spending too much on tutoring, tackle the material through independent self-study or with the aid of a course first. Once you’ve identified areas that are difficult for you, that’s a good time to bring in a tutor. Basically, I wouldn’t even think about getting a tutor in your first month of study. That early in your prep there is no way to have a clear idea of where your actual weaknesses lie. Usually everything is a little tough at first on the LSAT. However, some things will come much more quickly than others. Tutors are going to be most helpful after you’ve already made the rapid improvements early in your prep. 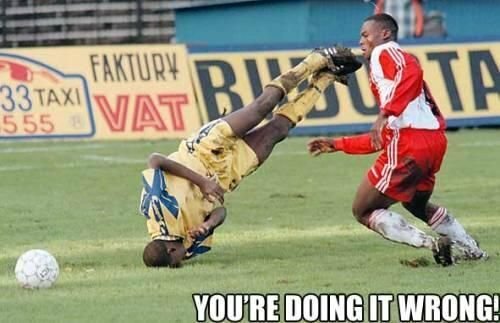 When the going gets tough, that’s when you might want to bring in a tutor. Unless you are Samara, it’s really hard to get anywhere if you can’t see where you are going. Get your hair out of your eyes and make decisive plans about what you’ll do to study for the LSAT. Planning is, like, the KEY to success on the LSAT. To help you, here is our 3 month study schedule. That provides a great outline, but you still have to fill in the details. At the beginning of each week, set out what you are going to do that week, and go do it. The above GIF is freaking me out by the way. I’m not so sure that this Ring GIFs post was a good idea, but it’s too late to turn back now. On a related note, you have to identify weaknesses if you want to get better at the LSAT. This is fully discussed in our post on how to review preptests. Here’s the thing I see that does not work at all: When students start with the LSAT, often they just jump in and start doing the problems. It seems like a logical thing to do right? You are trying to get better at the problems right? Well yes, but if you don’t know the techniques, you aren’t really learning how to do these problems in a way that even resembles how you’ll attack them when you learn to do it right. It’s the same with the LSAT. You have to pick up some strategies before you are ready to “yodel”. Otherwise it’s going to be like you are starting down at the bottom of a well and have to crawl out. Do you want to know what that looks like? No? I’m going to show you anyways. Alright, Now I’m not going to be able to sleep tonight. Just don’t do this okay? In doubt over any strategy/method/etc. you’re using to prep? Ask in the comments and we’ll give you an opinion. I have tried “the never sleep” approach and trust me it’s horrible. It makes your body weaker and brains slower. Also, all the other ways shared here are equally dangerous for your health and LSAT scores. Hey guys I’ve been studying from Kaplan’s LSAT unlocked 2018-2019 and I’ve found it quite difficult to transition from having read and understand the methods to using them effectively in the actual practice teat material under times condition. Any advice ? Hi guys! First of all, thank you sooo much for these tips! They are so helpful! I’m from Brazil and have a law degree there. I’m planing to take the LSAT and started out with 7sage this week. Is there any specific advise to foreign student when taking the LSAT and applying for law school? Regarding…”In doubt over any strategy/method/etc. you’re using to prep”… I am in my last month of prep using your 3-Month LSAT Study Schedule. Taking the LSAT on June 12. You mention in your “How I got a 177 on the LSAT” article, that in your last month of prep you put in 40 hr weeks. Can you nutshell what your 40 hrs looked like? Was much of that time devoted to taking practice tests? Where I am now my thinking/plan is for the remainder of my study schedule I should take 2 practice tests a day ( one timed, one not timed) 5 days a week, and put 3 or so hrs into reading/study with the Bibles-with specific emphasis on areas I struggled with on the practice tests. Your comment, input, advise on my plane would be greatly appreciated. Thanks for all your guidance and input thus far! Hi! What is your opinion of the prep course from Testmasters? 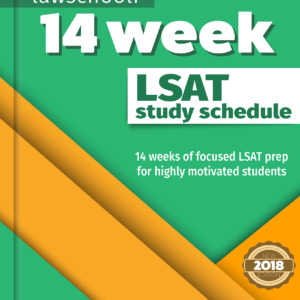 What should I focus on for retaking the LSAT? 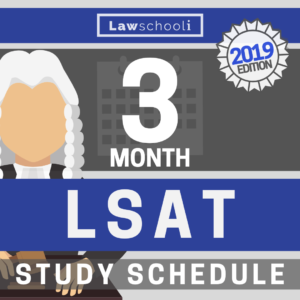 Do you have a study schedule for retaking the LSAT? I m not really very strong at reading comprehension being from an engineering background . I would really like to understand if you provided videos which would help to solve RC . 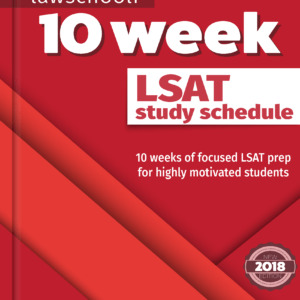 Also as I will be appearing for LSAT in September ,would you be able to help me with logical way to study to ace the LSAT …. While I totally get what You guys are saying about Kaplan being overpriced and advocating for other solid products for half the price– as I have been using Kaplan to prepare, would you say that Kaplan is inherently flawed in their methods for the LSAT? Yes I would. Give the PS methods a try you’ll see what I’m talking about. I’ve yet to hear of someone who made the switch and regretted it. Kaplan has plenty of good advice so it’s not like what you’ve done is a total waste, however, there are a lot of suboptimal techniques mixed in there too, especially as regards games. Don’t worry that you’ve permanently hurt yourself or anything. Both Josh and I started out with the kaplan methods and ended up just fine.